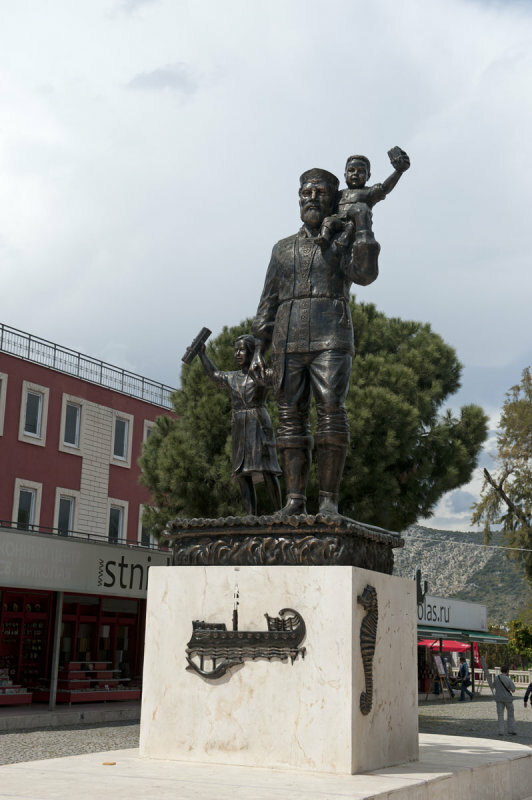 From the Wikipedia I understand there has been a time (2005) when "[...], mayor Suleyman Topcu had the statue replaced by a red-suited plastic Santa Claus statue, because he wanted the central statue to be more recognizable to visitors from all over the world. " A picture of the Santa Claus is in the Wikipedia article, and it is hideous. I also understand that the replaced statue is now in in the church area (I saw it but was not impressed enough to take a picture). I also think that either I overlooked Santa (which is only good for my blood pressure) or he has been replaced by this statue of a, in my mind, Russian looking St. Nicolas.